King Buffo is the name of the distinctive graffito that was sprayed on the wall in Kreuzberg’s Waldemarstraße by Kiddy Citny in 1984. In 1990 the segments changed hands for 300,000 Mark and came with stopovers in Bonn and Strasbourg to Paris, where they were set up in front of the office complex of La Défense and the Grande Arche in 1995. Initiator for the purchase and installation was Jean-Yves Haby, Deputy Mayor of Paris’ district Courbevoie. 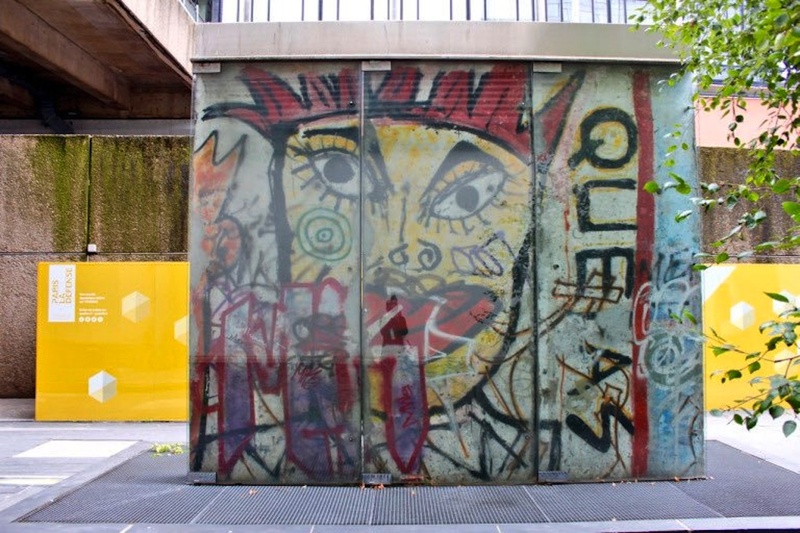 Immediately after the fall of the Wall, Haby got in contact with the East-Berlin Mayor Erhard Krack to bring the Wall to Paris.